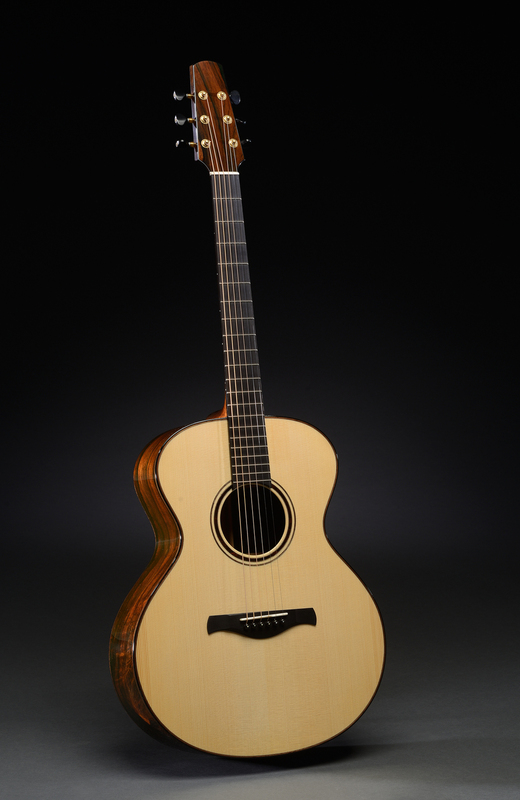 Jeff Traugott's most popular guitar is the Model R, with its size slightly larger than a Martin OM. 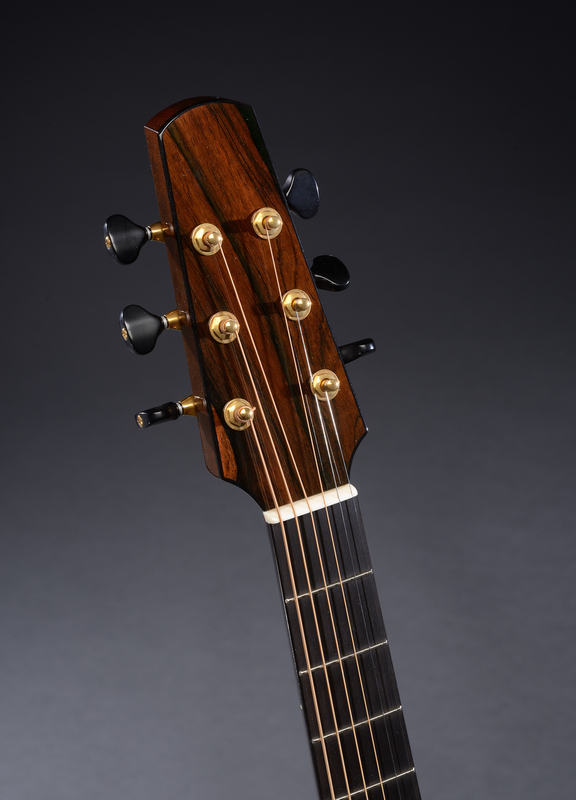 The Model R is my most popular size, slightly larger than a Martin OM. 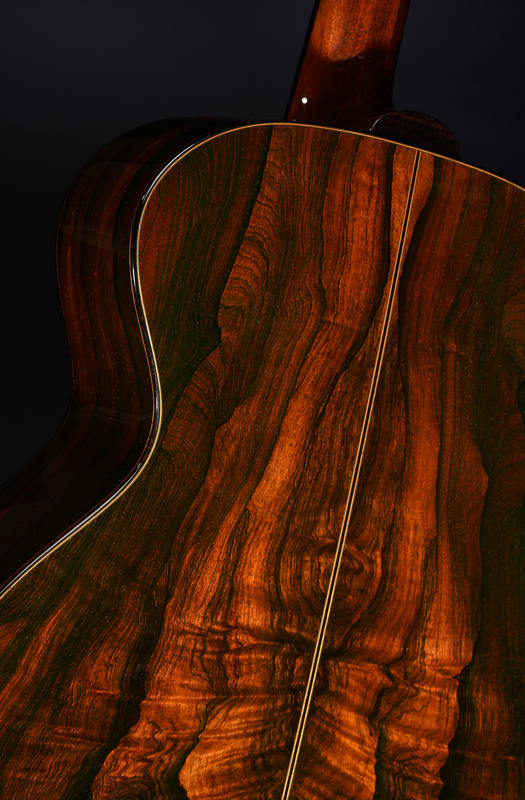 Its narrow waist and round curves make it a very comfortable guitar. 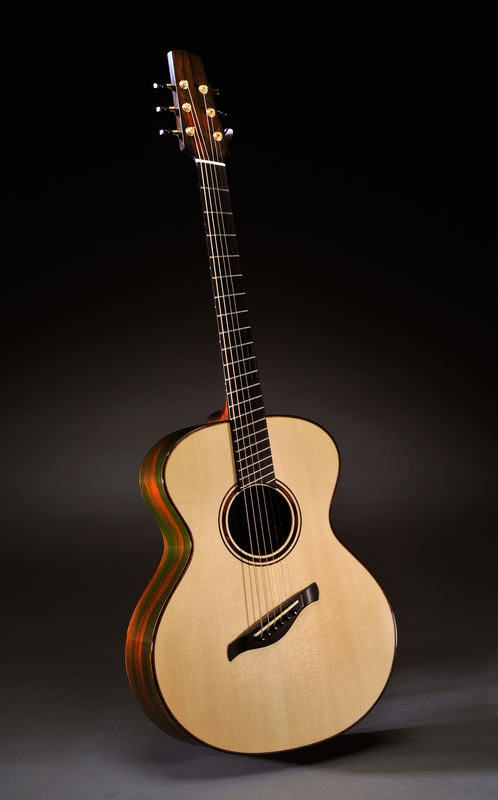 Jeff Traugott's Model BK guitar with a 16" lower bout has a dreadnaught width with a narrow-waisted feel. 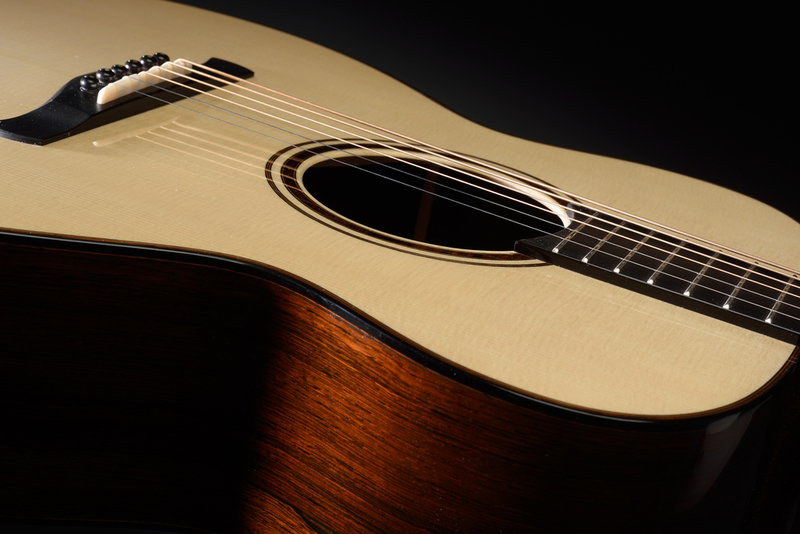 The Model BK with a 16” lower bout has a dreadnaught width with a narrow-waisted feel. 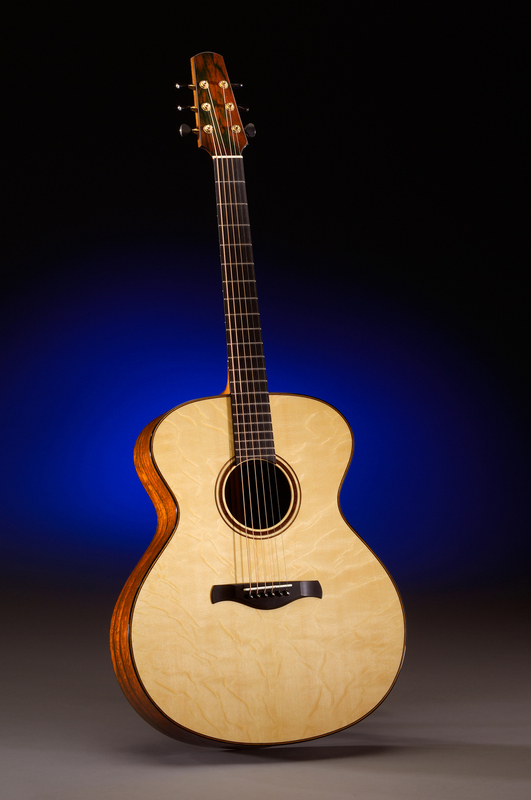 The Model 00 is Jeff Traugott's version of the Martin 00 body size. 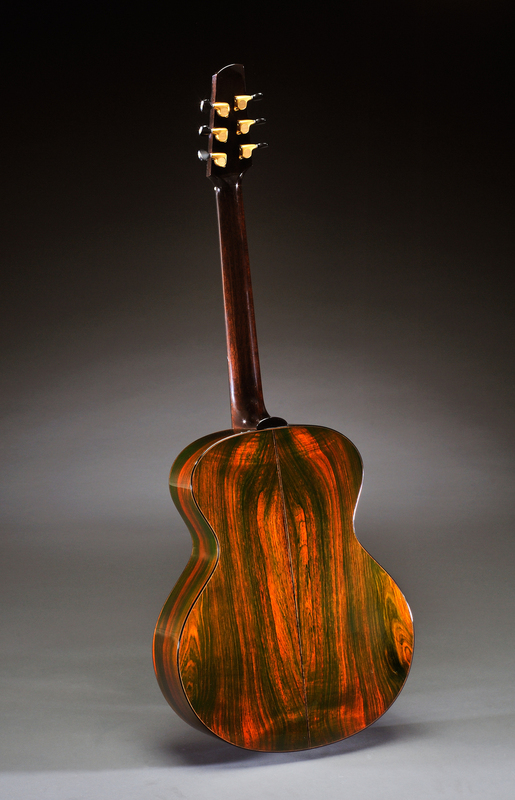 Though this is a small guitar, it has a huge sound. 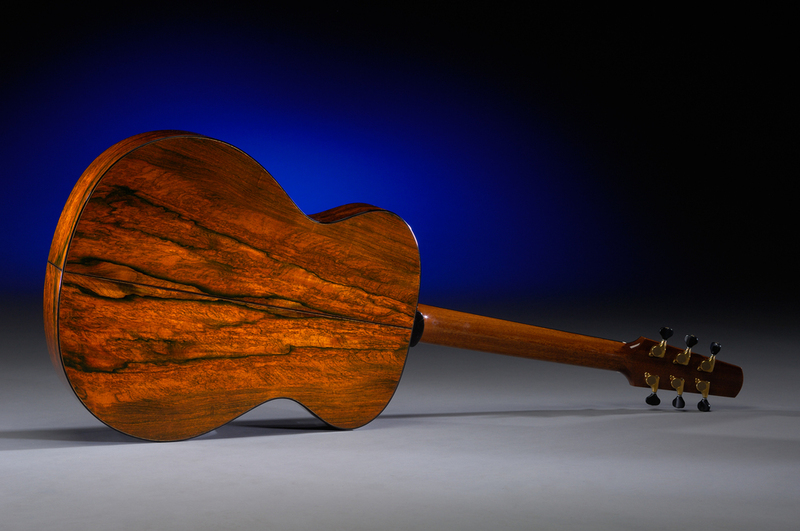 The Model RGE guitar is an electric semi-hollow body guitar. 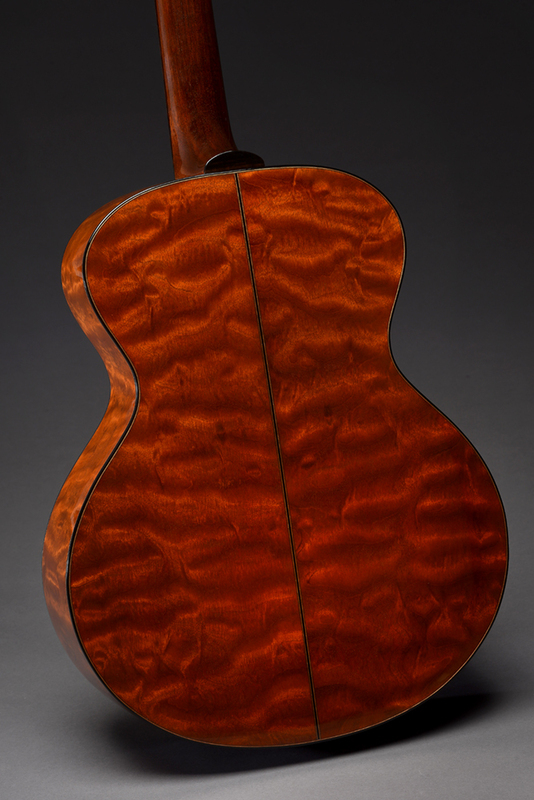 Jeff Traugott can build this with or without a cutaway. 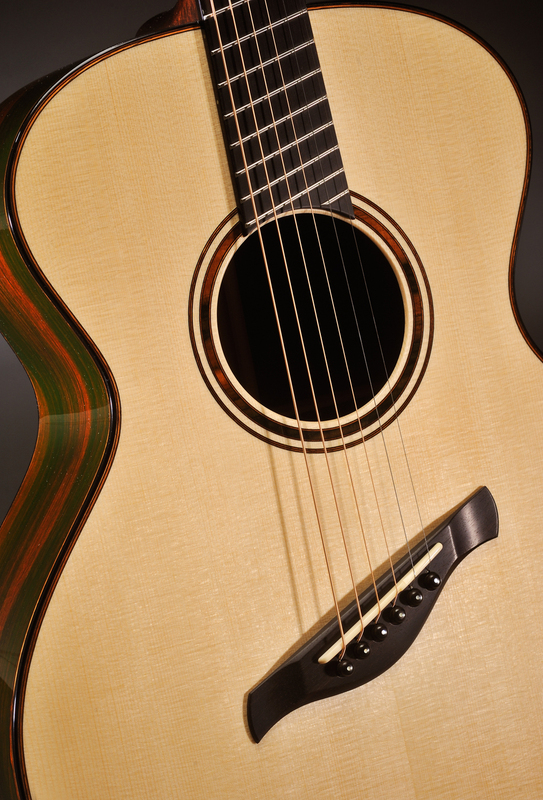 The pick up combinations make this guitar very versatile. 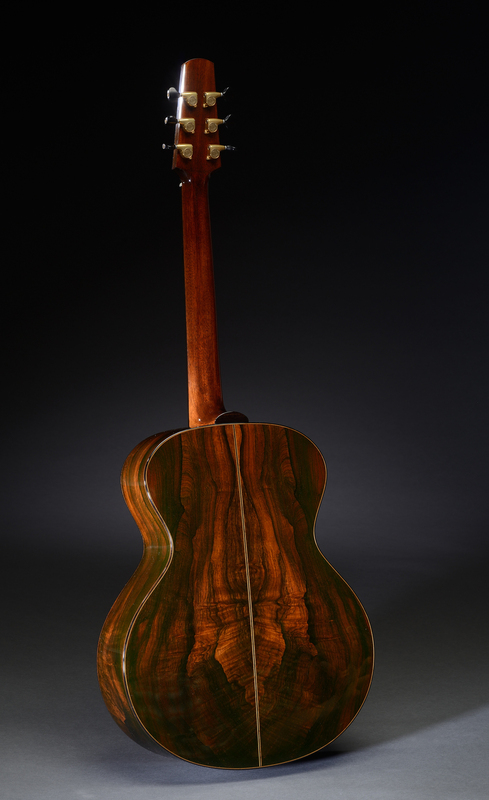 The Model RJ guitar is big!! 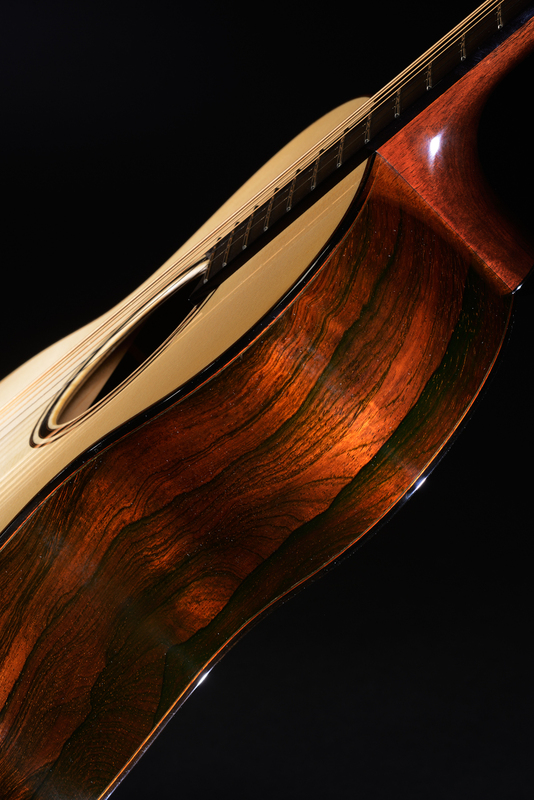 With a 17" lower bout it can be compared to a Gibson J-200. The Model RJ is BIG!! 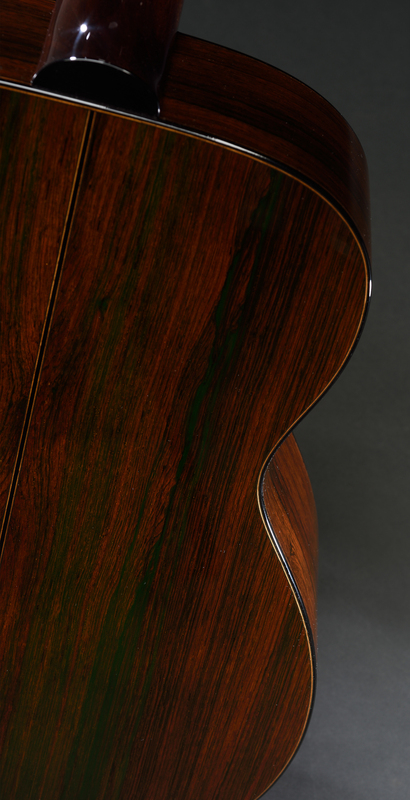 With a 17” lower bout it can be compared to a Gibson J-200. 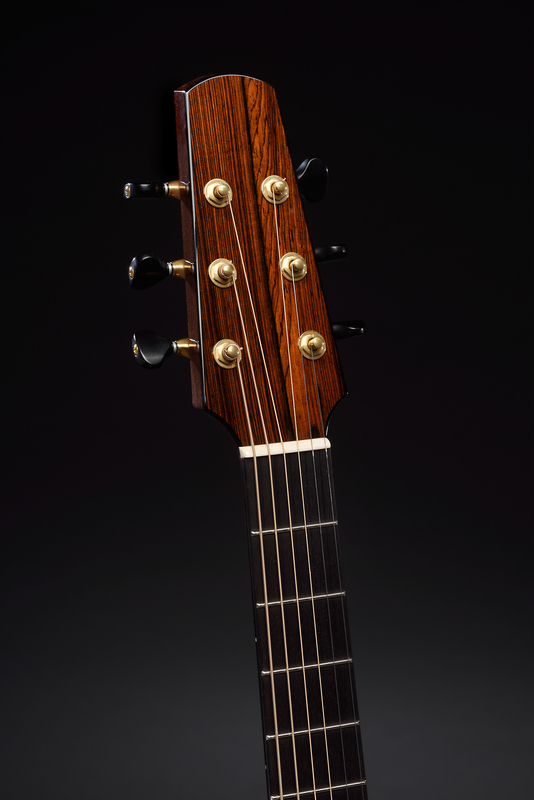 Fan fret guitars allow you to customize individual string lengths, this works well if you need a longer scale length for a lower pitch or want to use a larger diameter string. 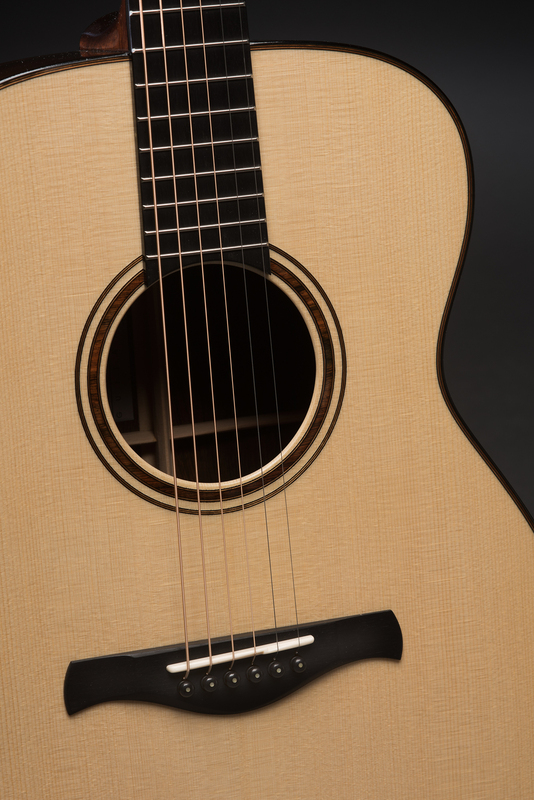 Fan frets allow you to customize individual string lengths, this works well if you need a longer scale length for a lower pitch or want to use a larger diameter string. 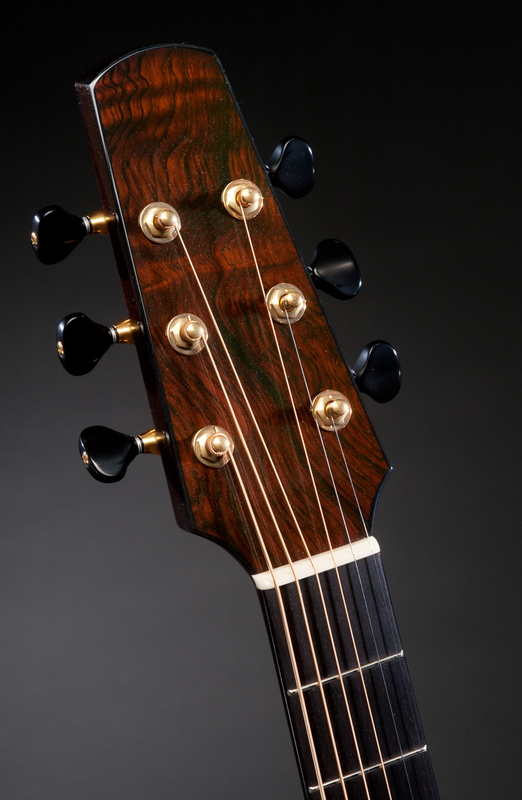 The fan fret option is available on all my guitar models for an additional charge. 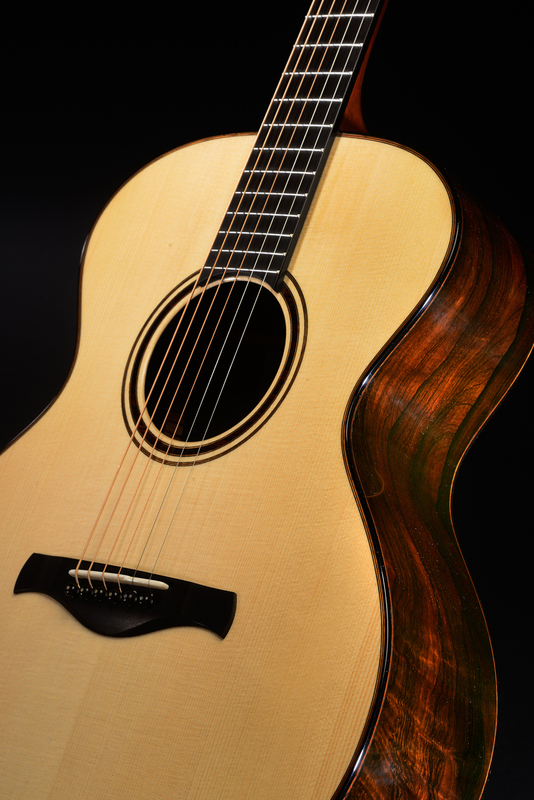 Jeff Traugott offers multiple options for every guitar model he makes, providing a truly custom guitar for every customer.